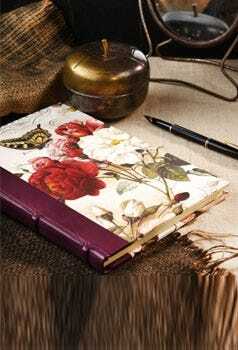 Pen Heaven reviews and compares pens and journals which we offer. This entry was posted in Stationery Addicts, Product Showcase and tagged stationery, planning, wedding on April 24, 2018 by Gemma Plumbridge. This entry was posted in Stationery Addicts, Product Showcase and tagged colour, stationery, competition, easter on March 23, 2018 by Gemma Plumbridge. This entry was posted in Stationery Addicts, Product Showcase, Pen Advice & Care and tagged guide, mechanical pencil, pencil, Rotring on November 21, 2017 by Gemma Plumbridge. This entry was posted in Stationery Addicts, Product Showcase and tagged organised, guide, bullet journal, Leuchtturm1917, planner, how to on August 25, 2017 by Gemma Plumbridge. This entry was posted in Stationery Addicts, Product Showcase and tagged stationery, travel, accessories, luxury on August 1, 2017 by Gemma Plumbridge. This entry was posted in Stationery Addicts, Product Showcase and tagged colour, bright colours, summer, style, trend, fashion, ss17 on July 18, 2017 by Gemma Plumbridge. This entry was posted in Stationery Addicts, Product Showcase, Pen Advice & Care and tagged guide, TrackR, Cross, technology, Top 5, Moleskine, visconti, Lamy, Parker on July 4, 2017 by Gemma Plumbridge. This entry was posted in Stationery Addicts, Product Showcase, Pen Advice & Care and tagged rollerball pens, ballpoint pens, fountain pens, leather journals, father's day, gift guide, gifts, dad, leather wallets on June 5, 2017 by Gemma Plumbridge.